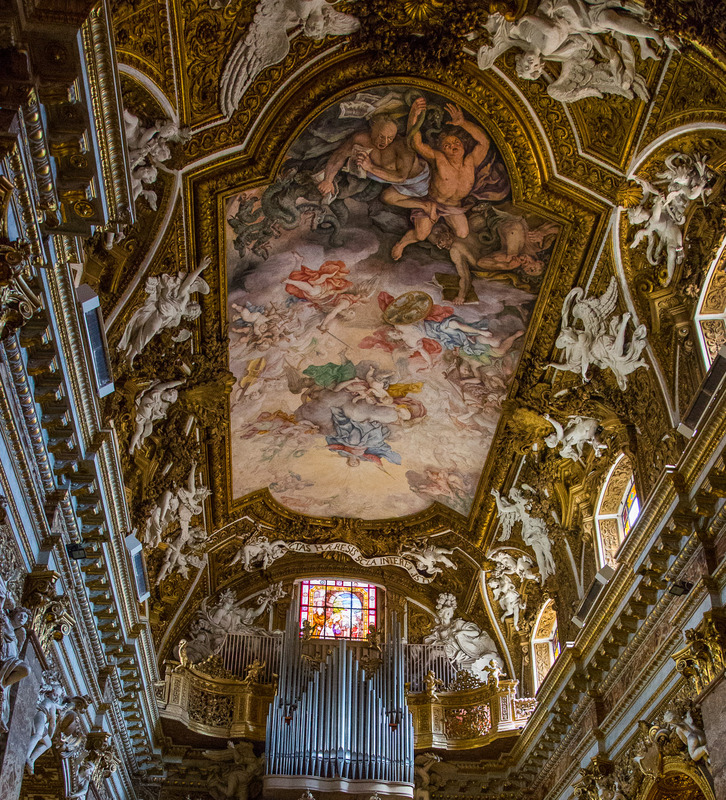 One of the more interesting churches in Rome is Santa Maria della Vittoria. 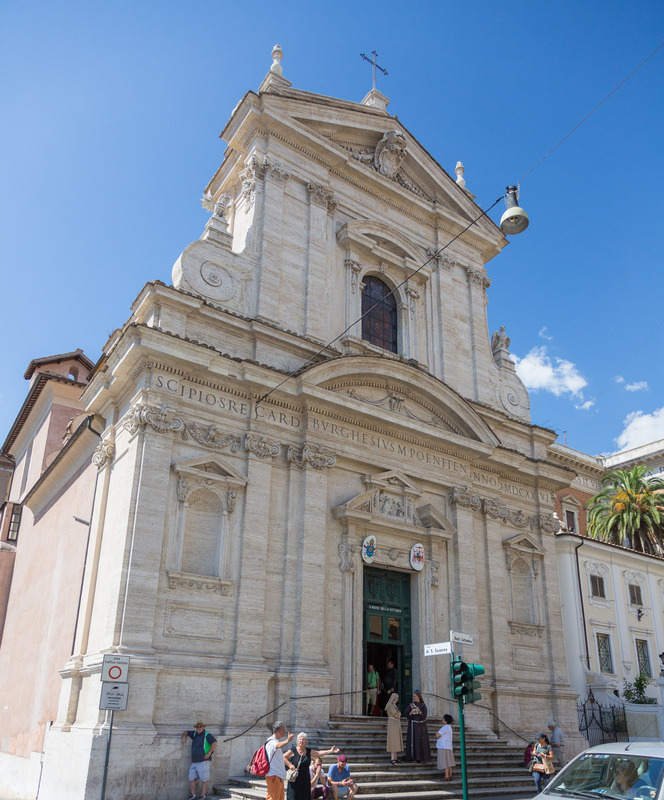 This small church is about 8 blocks north of the Termini train station. The church is open until noon and then from 3:30 to 6 or so (time is of casual interest when it comes to church visiting hours). This is the Baroque era and the church has some of the overbuilt feel from that era. But it’s nowhere near as over the top as the Gesu or as ornate as St Peter’s Basilica. 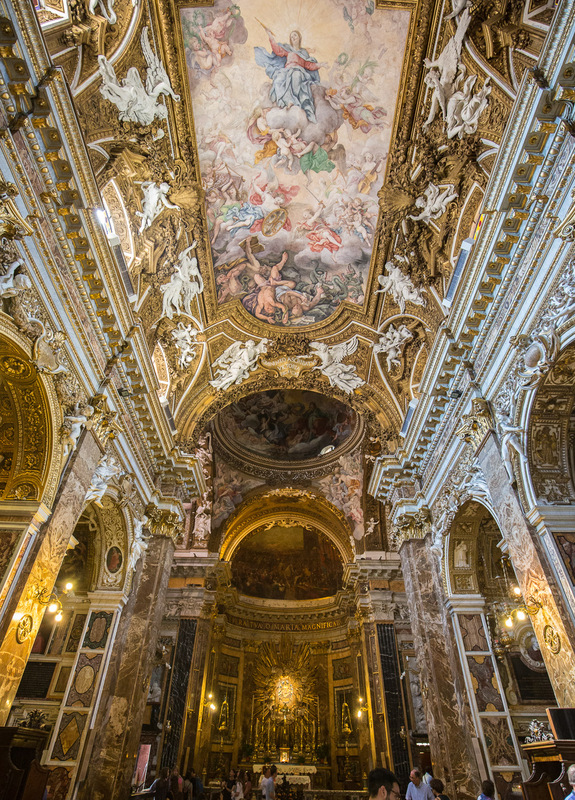 Typical of Baroque, almost every inch of surface area is covered with decoration or highly detailed marble. 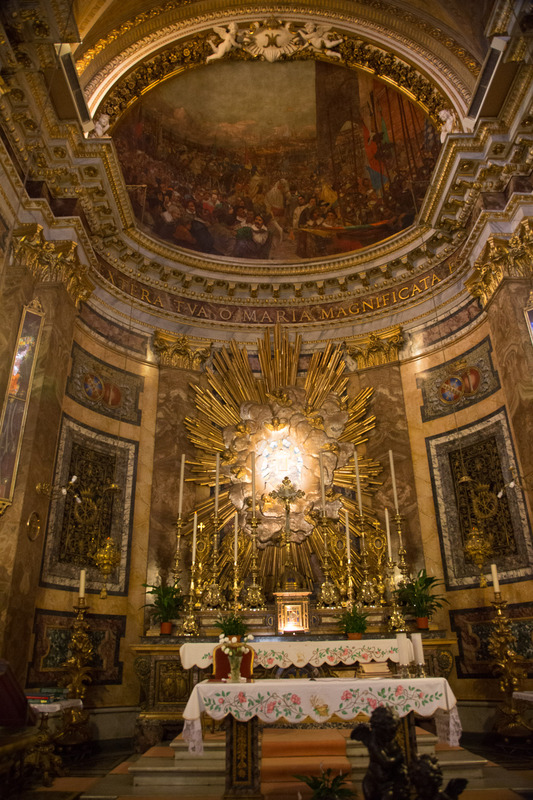 The alter features a Bernini starburst and a fresco. But we came for the Bernini sculpture and that’s off to the left in an alcove. 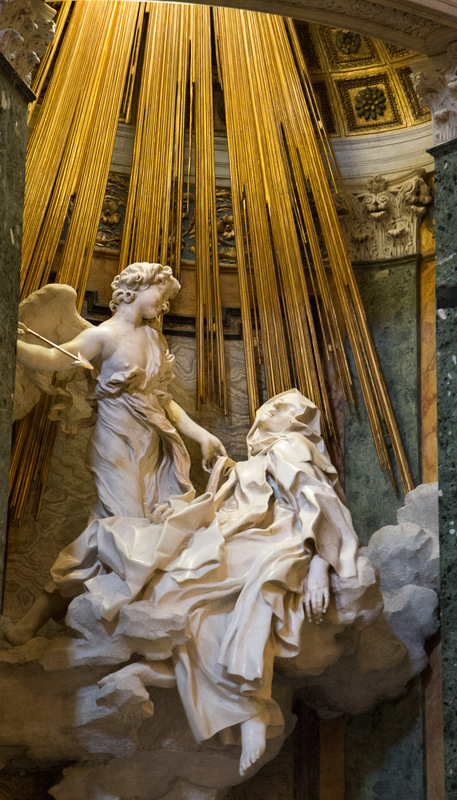 Bernini was a devout Catholic, one who understood the deeper teachings better than most. And the writings of St. Teresa of Avila seem to have inspired him, this is one of his greatest works. Teresa was a true Christian “mystic” — not the type who was weird and incomprehensible. No, Teresa was the real deal. Her autobiography and other writings give a cogent and detailed analysis of her spiritual practices and her experiences. One of my buddies, Evie Toft, did her dissertation comparing Teresa’s experiences with enlightened folks from other traditions. It turns out that there are lots of similarities in these Unity experiences once you strip away the differences in vocabulary. And Bernini clearly knows Teresa’s writings. His sculpture shows us the key moment in her autobiography when she feels an angel penetrate her heart. The shafts of gold suggest her experience of union with the Divine. You can see the almost fiendish glee of the angel. But the real drama lies in Teresa’s body and face. Somehow Bernini manages to get it just right, that mixture of pure bliss, pure openness, floating in the cloud of Unknowing. It’s a feeling that clearly overwhelms her with joy beyond her rational brain and her ego. Teresa’s connection with this experience is almost sexual in its totality. The rest of the church is nice. 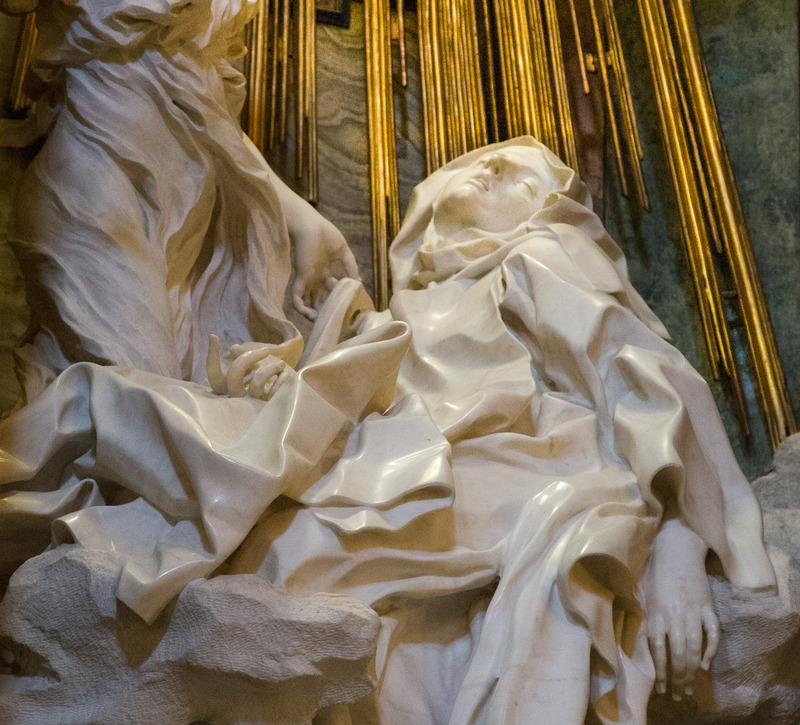 Bernini’s sunburst alter piece seems to me to be an extension of the Teresa experience but seen as an abstract explosion of grace. But maybe he just had some extra gold leaf to get rid of.